Hey, how about another opponent for Ted Cruz? At first blush, it appeared that former La Marque Mayor Geraldine Sam filed as a Republican candidate for U.S. Senate because she was mad at incumbent Ted Cruz. As a delegate to the Republican National Convention last summer, she unloaded on Cruz when he made a prime-time speech and declined to endorse Donald Trump as the party nominee. Instead, he urged delegates to vote for their conservative principles. Cruz did endorse Trump two months later, and Sam has since forgiven him. “After a while I started looking at things as to why Ted was angry and did not endorse Trump at that time,” Sam told me. During the presidential campaign, Trump had called Cruz “lyin’ Ted,” insulted his wife’s looks, and said Cruz’s father was involved in a 1963 plot to kill President Kennedy. Sam told me she was particularly bothered when Trump recently claimed that the parents of three UCLA basketball players jailed on shoplifting charges did not show him enough gratitude when China released them. “I should have left them in jail!” Trump tweeted after the fact. “When you do things for people, you should do it out of the goodness of your heart, and not as a Godfather figure expecting them to bow down to you,” Sam said. Perhaps, like me, you are slightly confused by now. So, to recap: Sam was mad at Cruz, but she isn’t anymore. 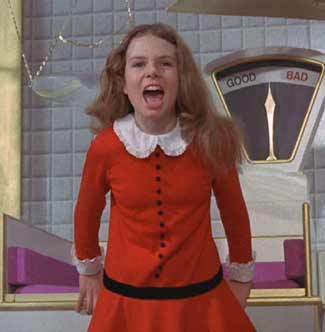 She’s now mad at Trump, but she’s going to show it by running against Cruz in the Republican primary. Makes perfect sense. Sam has an interesting history as a candidate, and as Mayor of La Marque – you should click over and read about it, with a bit more background here. I should note that Sam was actually the first candidate of either party to file for Senate; Beto O’Rourke officially filed yesterday. Cruz has two other primary challengers – Dan McQueen has abandoned his campaign, thus leaving the “underqualified former mayor who did not finish their first term” slot in the race to Sam. It’s good to know there will be at least one election we can follow for the sheer ridiculous joy of it. They don’t know what they’re going to do with it, and that’s a problem. Galveston County’s La Marque ISD will officially be no more as of July 1, 2016, state education officials confirmed. On Thursday, Texas Education Commissioner Michael Williams notified La Marque ISD officials of the decision to revoke their accreditation. “The district will be merged with another school district in the area,” said DeEtta Culbertson, a spokeswoman for the education agency. The typical practice when a district loses its accreditation is for it to be wholly absorbed into another district rather than being broken up among multiple districts. Culbertson said the details about the merger were still being worked out. See here, here, and here for the background. I get the reasoning behind this – La Marque has been at the bottom of state academic rankings for several years, and in August it failed the state fiscal accountability rating. That’s plenty of justification to shutter a district. The problem, as I detailed in that last link, is that there’s no obvious place for La Marque ISD to go. None of its neighbors seem like good candidates to absorb it. This is likely why nine months after the first announcement that La Marque was on the chopping block the TEA still has no confirmed plan for what to do with it. Everyone knew that North Forest would be absorbed by HISD. Nobody knows what will happen to La Marque. That seems to me to be at least as big a problem as the one the TEA is trying to solve by dissolving La Marque ISD. I hope they can take advantage of it. Headed into the new school year with La Marque Independent School District still facing an uncertain future, Superintendent Terri Watkins pledged to continue upward momentum in student achievement, keep a handle on the district’s finances and rebuild community trust. The district has introduced a new math curriculum this year, and teachers will use teaching and classroom management strategies learned under a program call “Fundamental Fives.” The district will continue assessing students every three weeks instead of every six weeks and offer customized tutoring for students at risk of failing standardized tests. Meanwhile, the district, with help from the Harris County Department of Education, has put its finances in order, leaving enough leeway to give a much-needed pay raise to district staff. Watkins hopes the new strategies, improved test scores and healthier finances will be enough to sway the Texas Education Agency to allow the district to remain open under the current administration after this school year. Under threat from the TEA of closure this summer, the district launched an appeal and entered into an abatement agreement with the TEA, buying another year. TEA spokeswoman DeEtta Culbertson said in a written statement that the abatement remains in full effect and that no decision regarding the future of the district beyond this school year has been made. She said Commissioner Michael Williams continues to review the information regarding the district’s overall academic and financial performance and that a decision will be forthcoming. In July, Williams held off on an order to close the district to await TEA accountability ratings. The district earned the state’s lowest academic rating in three of the last four years (the state did not issue ratings in 2012). It received a substandard financial rating for the 2011-12 year. Culbertson said the commissioner could install new management, impose further sanctions or leave the district under the abatement agreement. The agreement stipulates the district would waive its right to challenge the TEA’s final decision. See here and here for the background. My concern with this remains the same – which district would absorb La Marque ISD if it gets dissolved? It was easy enough for HISD to take in North Forest. Looking at the TEA School District Finder map, the neighboring districts to La Marque are Santa Fe, Dickinson, Tiki Island, Texas City, and Hitchcock. Do any of them seem like good candidates to take on the students and schools of La Marque if it gets dissolved? I just don’t see how that ends well. Maybe I’m wrong, but in the absence of any other information, the best answer to me is for La Marque to turn it around. Galveston County’s La Marque ISD received a lifeline Wednesday when state Education Commissioner Michael Williams agreed to put the district’s closure on hold. Williams said he would not shut down the district in July, as he had previously ordered, but would wait to make a final decision until the Texas Education Agency issues the new round of academic and financial accountability ratings later this year. “The commissioner felt this would be a good way to give the district a chance to try to improve and address those issues that they’re substandard in,” said DeEtta Culbertson, a spokeswoman for the education agency. The district’s new academic accountability rating will be based on mandatory state exams that students will complete in coming weeks. Williams has ordered that monitoring take place at all campuses to “ensure the security and preserve the integrity of the testing instruments,” according to a memo he sent Wednesday. See here for the background. As I said last time, my main concern here is that it’s not at all clear where these students would go if la marge ISD gets closed down. LMISD had asked for an extension, claiming that they were headed in the right direction. This may give them the chance to demonstrate that. I wish them the best of luck. I hadn’t realized this was in the works. Texas Education Commissioner Michael Williams has ordered the closure of Galveston County’s La Marque ISD in July unless the school district successfully appeals. Williams notified leaders of the 2,500-student district this week that he intended to take the rare step of revoking its accreditation after consecutive years of poor academic and financial performance. The Texas Education Agency has not announced what would happen to the students, but most likely a neighboring school district or districts would be asked to take over, said spokeswoman Debbie Ratcliffe. “It is my sincere desire that the agency, the district, and the community work together in a cooperative and productive manner to address the needs of the district’s students,” Commissioner Williams wrote in a Feb. 3 letter to La Marque Independent School District Superintendent Terri Watkins and school board president Nakisha Paul. La Marque ISD received warning from the state last year that it was on probation. At the time, Paul said she was hopeful about the district’s future. Last year, four of La Marque’s six schools failed to meet the state’s academic standards. The passing rate on state exams was 54 percent, 23 points below the state average. The district overall earned the lowest academic rating in 2014, 2013 and 2011 (the state did not issue ratings in 2012).It earned a substandard financial rating for the 2011-12 year. Enrollment has dropped by about 25 percent over five years. Most of the children are black or Hispanic and come from low-income families. Doesn’t sound good. The main thing that concerns me about this is the lack of an announcement about what would become of the current students. At least with North Forest ISD there was an obvious place for them to go, and so far so good with that. I don’t know what the neighboring districts are or how good a fit they might be. There’s also still a chance that La Marque ISD may get a reprieve. They are fighting to stay open, as you might imagine. At the special town hall meeting Sunday, board president Nakisha Paul said La Marque inherited issues accumulated under years of former leadership, and that the district’s once-strong foundation was gone. The new board and superintendent had plans to rebuild La Marque, she said, and champion its legacy. Watkins, who was named superintendent 16 months ago, said the district needs more time. Already, the district has shown improvement, she said, and the board worked through the weekend to prepare an appeal updating their progress on major goals. The district’s financial balance increased to $5.6 million as of January, up from just $47,000 in 2013, she said. Programs have been added to help students assigned to disciplinary alternative education programs, including a partnership with the La Marque police and another with the Gulf Coast Center Mental Health Authority to provide counseling, behavioral support and family training. The district has hired new principals, deans and an assistant for elementary and secondary campuses to realign administration and pursue higher graduation and attendance rates. It came into compliance on several special education issues and posted test score gains in multiple subjects. Of interest is that they have the support of State Rep. Wayne Faircloth. Having political allies didn’t help North Forest, but Faircloth is a Republican, so it’s a little different. There are two other small ISDs on the chopping block as well. I’ll be very interested to see how this plays out. I guess there are people who will like the sound of that “spend less, tax less and borrow less” stuff, but how exactly is that different from Tony Sanchez’s “scrub the budget” message from 2002? Putting it another way, what does Kay plan to spend less on, and what taxes does she plan to cut? Saying you’ll do these things is the easy part; saying how you’ll do them is where it gets tricky. KBH is also criticizing Perry for turning down the stimulus funds for unemployment insurance. Naturally, I agree with that, but as the story notes, she voted against the stimulus package in the first place. Sure, you can say, and I’m sure she will, that she disagreed with the idea of the stimulus but once it was approved Texas should have gotten its fair share. That’s the standard logic that all of the self-styled anti-pork crusaders use when they get criticized for their own earmarks. I understand that logic, and if you can get past the hypocrisy it’s perfectly sensible, but does anyone think this won’t be turned into a John Kerry-esque “she was for it before she was against it” flip-flop by Team Perry? I at least don’t have much faith in her campaign’s ability to respond to attacks like that. Ken Herman provides some evidence of her campaign’s maladroitness. The first time he said it, you weren’t sure you had heard what you thought you heard. The second time, there was no doubt. The disembodied announcer voice at Kay Bailey Hutchison’s gubernatorial campaign kickoff event was mispronouncing the name of her high school. 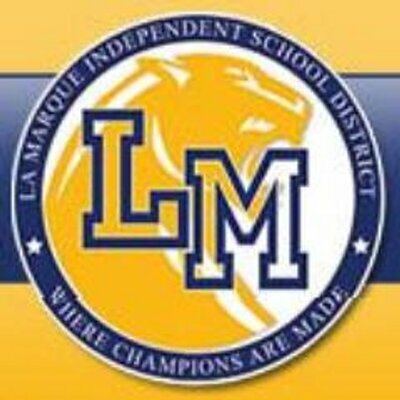 La Marque (la mark) High School had been fancified to La Marquis (la mar-kee) High School. “They keep saying it,” a La Marque cheerleader said to a fellow cheerleader in the school gym where Hutchison announced her candidacy. On education, Hutchison committed what’s become a common sin among candidates of her generation. “I want to help to create an education system like I had,” said Hutchison, La Marque High School, class of 1961. No thanks. I’ll pass on that. Yes, 1961 was a great time to be in Texas public schools — if you were white and didn’t face learning disabilities. La Marque High School was segregated when Hutchison attended. Oops. Anyway, what I expect out of this campaign, if you can call it that, is a lot of hot air and name-calling from both candidates, and very little about the problems Texas faces and how they can best be solved. That’s just not what Perry and KBH are about. EoW, the DMN, BOR (and again), and Greg, who goes after the KBH needs Democratic votes meme, have more.